Outplayed from start to finish. Sometimes you just come out flat. 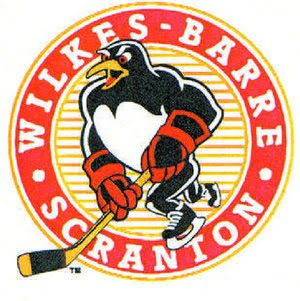 That was the case Friday for the WBS Pens, who showed little resemblance of the 10-1 team that had been tearing through the league in October. Binghamton was the better team on the for 60 of the 60 minutes, and I would be lying if I said that they didn't deserve the win. The Sens came out and set the tone early with 2 1st period powerplay goals from Corey Locke and Bobby Butler. The 2nd started just as stagnant as the 1st, and Bingo's Roman Wick put the Sens up 3-0 just 35 seconds into the 2nd period. These 1st 3 in particular were the killers for the Pens. The first goal was more a matter of luck and a bit of a misjudgement by Curry, the 2nd was just an amazing powerplay shot, and the 3rd goal scored by Binghamton was created from a Bortuzzo turnover that quickly became a 2 vs 0. The Senators killed any remaining inklings of hope in Mohegan Sun Arena with another goal from Butler near the end of the 2nd period. The 3rd period saw a little bit better play from the Pens, but by then it was too late to mount any comeback. Chris Collins did manage to tip a Hutchinson shot in and avoid the shutout, but Francis Lessard had the answer for Bingo to put his team back up by 4. So I guess even the best of teams are bound to eventually have nights like this. I'm sure people will be looking for ways to blame this all on Curry, but the truth is that while he wasn't on his best game, neither were the other 18 guys in blue and they are equally at fault. This will be the first time the Penguins have to deal with getting blown out this year, and it will be very interesting to see how they respond in Worcester tomorrow night. As for the goalie situation, I refuse to make any comments on who to put ahead of who until I see Brad play tomorrow. Bad games are bound to happen, and just giving up on Curry would be a mistake at this point. Big game tomorrow night at DCU Center. Hopefully Coach Hynes and Captain Craig can rally the troops to get back into the winning groove again.